Dame Shirley attended a cocktail recption for Fashion Cares in Toronto on October 30th. 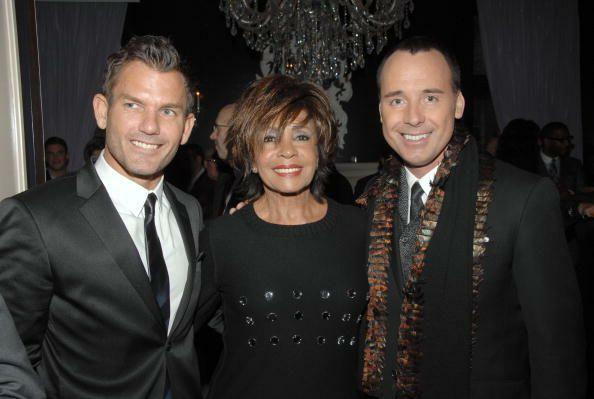 She is pictured above with the Chair of Fashion Cares, Michael King and David Furnish who is the host for the gala on November 1st. The reception was held at the Windsor Arms Hotel in Toronto. She is signed to headline the gala event and will sing 3 songs, backed by a 20 piece orchestra. Steven Ray asked me to play And I Love You So. There are two studio versions, one from the album of the same title and one from the I Am What I Am album, recorded with the London Symphony Orchestra. I couldn’t decide which one so here are both of them! Hello everyone! Just to let you know that I am in Tenerife (Spain) for a few weeks on holiday and to help out a friend who lives there, so the blog will be a little quieter than usual! I will be returning somewhere in November. Till then, Pieter. Now an album in Spanish on the PolyGram label entitled La Mujer (The Woman) the brainchild of Grammy Award winning Leonardo Schultz. The album was demoed in Spain, and recorded in California. As preparation for the recording Shirley even has Spanish lessons. 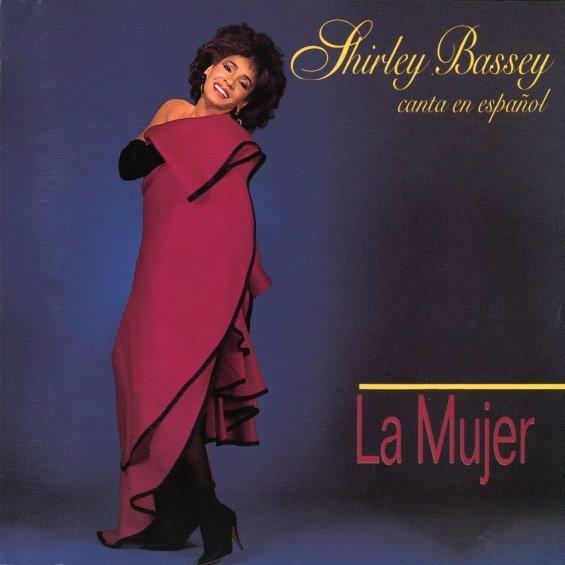 The album brings together new Spanish versions of some of Shirley’s former classics such as “Without You” and “I Who Have Nothing” along with new material written especially for the album. 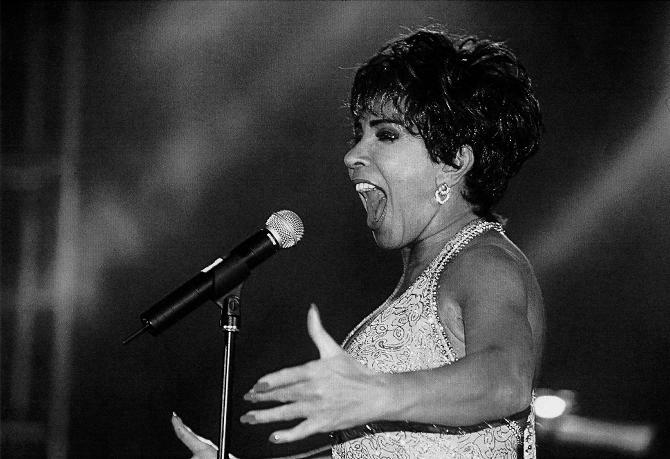 The album’s debut was an amazing performance by Shirley at the Viña Del Mar Song Festival in Chile in February, 1989, and further appearances in South America will follow.The world has only a mere handful of great stars…Shirley Bassey is one…she is Europe’s female superstar…she is in a class of her own. It is noteworthy that the album producer Leonardo Schultz was also the writer or co-writer (translator) of every song. So it seems that he was the one who had the idea for this album and he has been the driver behind the project, because he was personally engaged very much. Mexican journalist Carlos, who transcribed all the Spanish songs for this site, wrote: Giving you my point of view as a music critic, “La Mujer” is a well done production, Bassey’s voice sounds very fresh for Latin people, but on the other hand, some of the lyrics are not well structured in its form as a simple way we Latin people use the language in songs. For example, “no es vivir” (is not living) This phrase is never used in any Spanish language country! (I mean Spain or any Latin American country.) We could say “no es vida” (is not life) or “no vivo” (I don’t live)… Like this example there are other ones. Translating songs from a different language is no easy task, but in the case of tracks from this album, the passion and sentiment of the original pieces have been retained, in some cases one could even go as far as saying that they have been improved! I have to tell you that this album was not easy for me to make for the simple reason that I do not speak Spanish. No, really I do not, but I did invest in twenty hours of Spanish lessons which proved invaluable because I was able to sing the actual Spanish words and not use phonetics. I also have to tell you that I am very proud of my first effort! No matter what language you speak the language of love is universal. I dedicate this album with all my love to you. The official site for the Fashion sCares gala to be held on 1st November confirms that Shirley has signed to appear. It will be held at the Metro Toronto Convention Centre. It is an annual AIDS benefit. The gala will be hosted by Elton John’s partner, David Furnish. This will be the 22nd time this event has taken place. 25 October 2006 – Latest info:- I have just read that she has signed to sing just 3 songs and will be backed by a 20 piece orchestra. I cannot confirm this information as being correct as it was given in an interview by one of the gala’s organisers and is not on the official site.